The applications of instance-intensive workflow are widely used in e-commerce, advanced manufacturing, etc. However, existing studies normally do not consider the problem of reducing energy consumption by utilizing the characters of instance-intensive workflow applications. 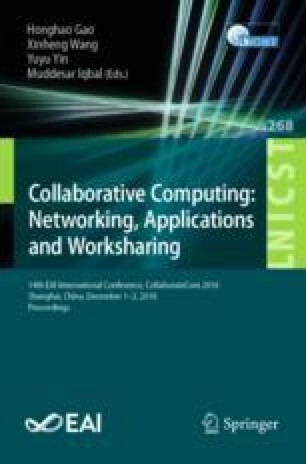 This paper presents a resource usage Prediction-based Energy-Aware scheduling algorithm, named PEA. Technically, this method improves the energy efficiency of instance-intensive cloud workflow by predicting resources utilization and the strategies of batch processing and load balancing. The efficiency and effectiveness of the proposed algorithm are validated by extensive experiments. This paper was supported by National Natural Science Fund of China (No. 61772193, 61402167, 61702181, 61572187, 61873316 and 61872139), Innovation Platform Open Foundation of Hunan Provincial Education Department of China (No. 17K033), Hunan Provincial Natural Science Foundation of China (No. 2017JJ2139, 2017JJ4036, 2016JJ2056 and 2017JJ2098), and the Key projects of Research Fund in Hunan Provincial Education Department of China (No. 15A064).